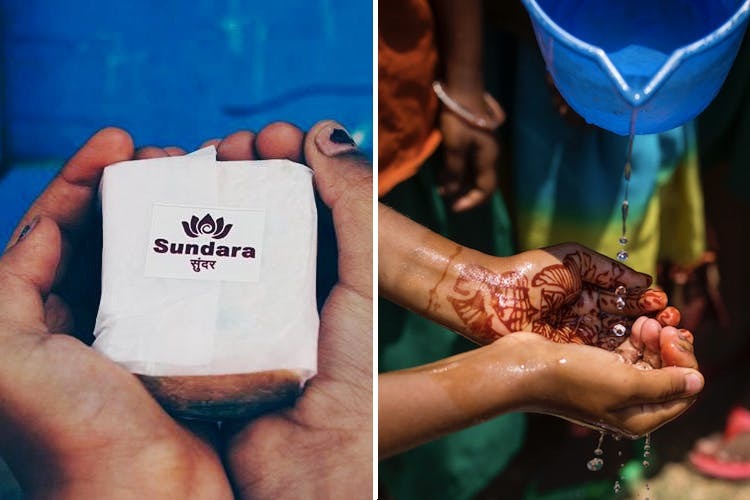 Sundara, an NGO from Mumbai collects soap scraps from hotels around the city and recycles them into sanitised soap bars for the underserved. Sundara was set up in 2014 by Erin Zaikis, an American who after watching Indian film Slumdog Millionaire was inspired to help solve issues. Specially the ones plaguing daily life of people around her and far. The realisation and her travels in Thailand and India, culminated into Sundara – through which she’s spreading access to basic hygiene practices while reducing ill-health by re-purposing soap. As first seen in this succinct video by Scroll here, we learnt that the process works like this: workers of the organisation, or as they are called – ‘Hygiene Ambassadors’ collect the leftovers of used soaps from a few hotels around the city. Post which, their employees sit in their unit, scrape off the used portions of the soap, crush them to crumbs and remodel them into fresh, sanitised soap bars. These are then packed are distributed to underprivileged schools. The recycling process takes places in Mumbai’s suburban slums of Thane, and this movement has further increased operations in Uganda and Myanmar. For a broth with a good purpose, there are never too many cooks. You can extend your help in many ways: by donating small sums of money which can help create more soap bars and have a wider reach, by connecting them to hotels that are willing to be involved, by interning with them for a more hands-on experience, or by volunteering in the fields of photography, design, videography and more. This initiative is great, and makes the best use of waste soaps that would otherwise find home in the trashcan and eventually a dumpster, while spreading health and sanitisation in far flung, underprivileged places in the world. Follow them on Facebook here to be up to date.